I love a spring clean! Well If I am honest I actually never have time to do any cleaning in the spring break because naturally of the time of year in education, all of us who are still caught within it are busy revising or frantically trying to finish essays and coursework. 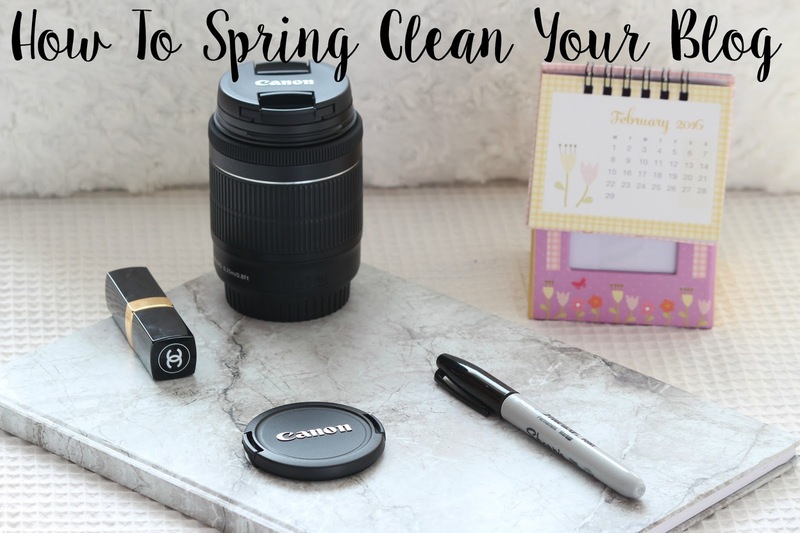 However, if you do have some time over the spring break, then giving your blog a bit of a tidy up sounds a good idea to me! It's better to have a concise range of features than just about everything under the bloody sun. Because let's be honest your readers don't want to know what the weather is in 20 different countries nor what the time zone is or what my horoscopes are. If I wanted to find out what my horoscopes were I would have gone to some trashy magazine website. I recommend having a picture of yourself, followed by a short bio, your social media buttons, a search bar, translate, a 'grab button' for your blog, any other groups you are part of and a most popular posts section. Broken links? Nah! You need to get rid of those nasty little things. If you are unaware of what a broken link is, it is basically a link which doesn't work anymore. You have worked with a brand before and put their website in your post but now their website has moved addresses or has gone completely, the link is broken. Or maybe you added a social media link to another blogger's Twitter but it never worked in the first place, another broken link! You need to get rid of these little buggars! Broken links influence your rankings on Google and a ton of technical things like that. They mess up with the authenticity of your blog. Google doesn't think highly of websites that have lots of broken links, it lowers your rankings resulting in poorer traffic. Although you don't have much control websites being deleted or web addresses being changed, it's good practice to go through every now and again and get rid of the pesky things! First of all, if you don't have categories this is the perfect opportunity to add some! Trust me, your readers will love you for it! On blogger, (I don't know if the process is the same for Wordpress) when you have finished a post you can add labels or tags. If you then add the labels to your sidebar or drop down menu under your header, your readers will be able to find certain types of posts easily. For example, I have a couple of categories on my blog; lifestyle, fashion, beauty, photography etc. Not all of my posts are labelled, though, which bugs me. And even the ones that are labelled, I want to split up more into nicher categories such as lists or photo diaries. Categories make your blog look professional, so I highly recommend you adding them or sorting them out while you spring clean your blog! This is something I have been meaning to update on my blog for ages now as I think it's really important. Although my about page isn't too bad, it's not that up to date. When I go to a new blog and I fall in love with it, I naturally want to find out as much about the blogger as possible! And where do I find out all this information? The about page of course! However, about pages need to draw my attention! They need to be funny, witty and provide a good insight into your life. Try adding different parts to your about page. For example; a mini Q&A or some fun facts about yourself. Because no one can say no to a good old fun fact! Be inventive with your about page, add some funny pictures or your best photography. Let's be real 'Bob. 24. U.K.' Probably isn't going to crack it! Sometimes you just need to add in some little bits of excitement to your blog, pops of fun I like to call them to make your blog as fun and as interactive as possible. Although don't go overboard because that will make your blog cluttered and unprofessional. Let's face it, the reader doesn't want to feel like they are wading through a hoarder's home, now do they? I have an Instagram widget at the bottom of my blog, scrolling along quite happily showing you all the photos I have on my Instagram feed! I also have a widget at the end of each post that shows you other blog posts of mine you might want to check out. It's a great way of generating more traffic! These widgets are super easy to add as well! Trust me, even I can do it so it can't be that hard! The dreaded words- HTML! Coding isn't that bad, says me who has done hardly any! However, I have added a couple of bits to my blog. For example, when you scroll over my photos they fade and how my header is in the centre etc. These are all super easy things to do but make your blog look so much more professional. If you give them a quick Google there is some great websites and videos out there with step by step guides on how to put them on your blog! My ultimate dream though would be to have a drop-down section on my blog with lots and lots of categories. I have never managed to find any website or video that makes it easier enough to follow and understand! If you know any then please do send them this way! My inner neat freak really wants to have everything super organised! And there we have six easy things you can do this spring to improve your blog! Obviously, you can do these things all year around, I just wanted to be festive! Have any more tips on how improve your blog? Please do share them below! Updating my about page is something I alwaaays forget to do, and I want to add categories too, so thanks for reminding me! This was so useful! 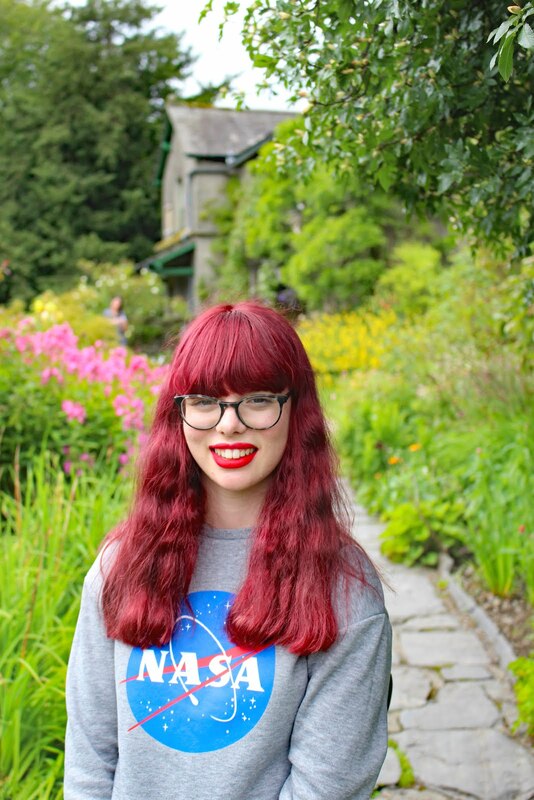 In the Summer, after exams, I plan to do a massive blog clean up! I'll be saving this post until then! Great tips! I need to update my about me page. I have the new one written, I just want to add some updated photos of me. I need to force my sister to go out with me to take a billion photos so I can have 3 good ones for the blog haha. These are great tips, as I am brand new to blogging. Great post thank you for sharing! Some great tips, thanks for sharing! definitely want to test out a few new banners! I agree with everything in this post, especially about having a cluttered sidebar. A few things in the sidebar is so much better and tidier than loads of little things. Definitely want to action these tips, a lot of them I've been meaning to do for ages! I'd 100% recommend xomisse.com for easy to follow and helpful blog tutorials! Love these ideas! I definitely need to do some of those things! I'm sure it would improve my blog. Those are great tips! I definitely will sort out my about page today. Do you know of any useful websites with easy tips on how to use the HTML? Because, you're right, it's quite scary haha. This post is so useful! However I always put it off! These are all such great tips especially the broken links one. After sorting over 100 broken links in one go, I'm starting to check for them every month. Annoyingly there's still some I can't get rid of; I have no idea where in my blog they actually are! This is such a helpful post! And this may sound like a dumb question, but when I checked for broken links, a lot of them were from links that people left in the comments. Do I fix those?